Last week, I mused about the possibility of Minnesota making a bid for free agent Manny Machado. He’s young, a five-tool player, and has the potential to impact the game in multiple ways. It also helps that the White Sox have been going after him. If the Twins could steal him from their division rival, it would make the signing that much sweeter. Could the Twins make a splash and sign Machado or Harper? ESPN’s Buster Olney is reporting the Twins could be one of a handful of mystery teams interested in signing either Machado or Harper. Olney’s biggest reasons for identifying the Twins is their lack of free agent spending, which gives the club an opportunity to pull off this kind of contract. Over the last week, Minnesota’s payroll has been a hot button topic in Twins Territory. (I wrote a little about it in this week’s Twins Daily mailbag and you can listen to Gleeman and the Geek discuss it in their latest episode). Joe Mauer’s contract came off the books and the organization has few contractual commitments moving forward. According to Forbes, Minnesota ranks 22nd in MLB team valuations. The club made $261 million in revenue last year and spent $133 million on player expenses. Currently, the Twins are projected to start next season with a payroll around $100 million. If it takes longer for these two players to sign, their asking price could continue to drop. It could also drop the length of the contract. Both players are relatively young for reaching free agency since they made their debuts as teenagers. This could allow teams to sign them to a longer contract because the prime of their careers would be throughout most of the new deal. Since these two players debuted in 2012, Harper has the 12th highest WAR total, while Machado comes in at 15th. These are two of the best players of this generation and they are reaching free agency in their prime. All of baseball should be interested… why not the Twins? Leave a COMMENT and start the discussion. It seems to me that Machado is going to wait for Harper to sign and set the market. 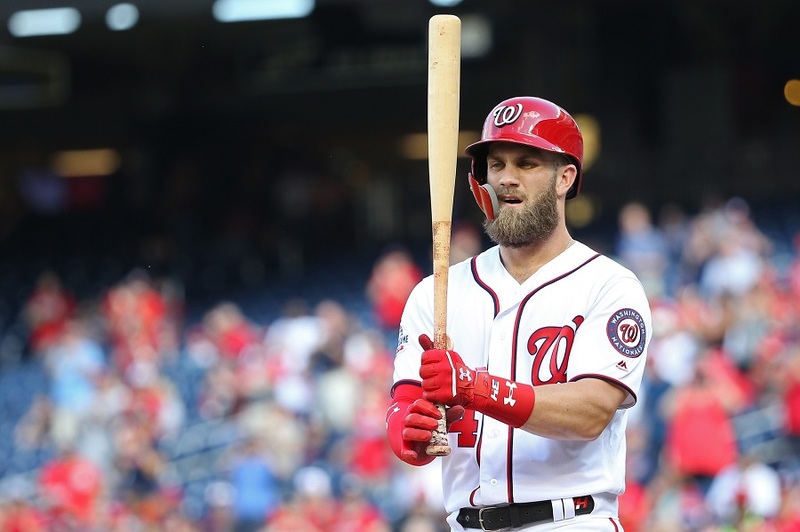 I am sure his agent has a wonderful case as to why he is worth more than Harper.The only rumors I can locate are that the Nat's offered 10/300 to Harper and WS offered 7/175 to Machado.I think it is hilarious how the agents rely on media rumors and become venomous when the rumors don't fall their way.Maybe the Chicago leaked a low number to keep Machado in the WS pay range... However, I don't see the Twins doing any of this because it will affect their ability to sign their own guys.We clearly have a build from within plan and whatever signing they make has to give them flexibility.I would love Machado but just don't see it happening even at 7/175, a rumor which has really pissed off Lozano (his agent). For Harper or Machado, the Rangers or Twins. They are mentioned by rival officials and agents mostly because they have the payroll flexibility and could make that kind of move if they wanted to do so. In other words, there is zero evidence that the Twins are looking at either player.There is only speculation that they could maybe even potentially be in, because they maybe could possibly afford to be in. I, uh... well I got nothing on this one. I may not always agree with him, but Buster is usually pretty good about baseball stuff (despite the ESPN pay wall... curse you stupid ESPN). This however reeks of pure supposition and extrapolation at its wildest. Buster was also the one who reported that Machado's offer from the White Sox was 7/$175MM, which was instantly shot down as being false. Still, the conversation makes sense. Who could be a mystery team for Machado? Given their current opportunity and payroll space, it's easy to speculate it might be the Twins. The Marlins and Pirates are also being speculated as mystery teams.Reporters seem to be taking Machado's father's quote to heart when he said it might be the team you least expect. The Twins have a ton of payroll flexibility not just this year but next year in particular. Last year they waited until the end of the free agency period before pouncing on a couple of players. Both of these are the types of guys you'd want in free agency -- they are still young, meaning they are more likely to be relatively strong players during the latter part of the contract. Machado is only a year older than Byron Buxton. It's not as far-fetched as you might think. I doubt they do this, of course. But there's plenty of money this year and even more in future years. I still don't think either would commit ten years of their lives to Minnesota without taking the area for a test drive, so I'd think if the Twins were to get one, it would be on a big money short term deal or something with an easy opt out after a year or two. But if we're finger-crossing, I'd prefer Harper, though I sense most of the board would rather have Machado. While the means exist, someone forgot about motive. Would be nice to be wrong on this. Harper? Machado?Just give the people what they want. Bring back THE DOME DOG! The Marlins and Pirates are also being speculated as mystery teams. Reporters seem to be taking Machado's father's quote to heart when he said it might be the team you least expect. Yeah, and Grizzly Adams had a beard. I would be shocked if they made a play for either guy.I think Harper would certainly have more upside though.Hard to say how he'd handle the transition to the AL or target field since he's never played there but the Twins have no salary on the books in 2020 or beyond.He's only 26, 3 years removed from his last MVP season and he'd give the team a huge boost in image and off the field revenue. If the Twins had good owners, we'd be on Machado. No doubt. He's such a perfect fit here it hurts. But we don't have good owners so it really comes down to "could." Yeah, we could be if we had good owners. We don't have good owners so until they actually do something like this, we should expect them not too. I, for one, would like to say ha ha ha ha ha ha ha ha ha ha ha ha ha ha ha ha ha ha ha ha ha ha ha ha ha ha ha ha ha ha ha ha ha ha ha ha ha ha ha ha ha ha ha ha ha ha ha ha ha ha ha ha ha ha ha ha ha ha ha ha ha ha ha ha ha ha ha ha ha ha ha ha ha ha ha ha ha ha ha ha ha ha ha ha ha ha ha ha ha ha ha ha ha ha ha ha ha ha ha ha ha ha ha ha ha ha ha ha ha ha ha ha ha ha ha ha ha ha ha ha ha ha ha ha ha ha ha ha ha ha ha ha ha ha ha ha ha ha ha ha ha ha ha ha ha ha ha ha ha ha ha ha ha ha ha ha ha ha ha. Now, to be fair, ha ha ha ha ha ha ha ha ha ha ha ha ha ha ha ha ha ha ha ha ha ha ha ha ha ha ha ha ha ha ha ha ha ha ha ha ha ha ha ha ha ha ha ha ha ha ha ha ha ha ha ha ha ha ha ha ha ha ha ha ha ha ha ha ha ha ha ha ha ha ha ha ha ha ha ha ha ha ha ha ha ha ha ha ha ha ha ha ha ha ha ha ha ha ha ha ha ha ha ha ha ha ha ha ha ha ha ha ha ha ha ha ha ha ha ha ha ha ha ha ha ha ha ha ha ha ha ha ha ha ha ha ha ha ha ha ha ha ha ha ha ha ha ha ha ha ha ha ha ha ha ha ha ha ha ha ha ha ha ha ha ha ha ha ha ha ha ha ha ha ha. In any case, ha ha ha ha ha ha ha ha ha ha ha ha ha ha ha ha ha ha ha ha ha ha ha ha ha ha ha ha ha ha ha ha ha ha ha ha ha ha ha ha ha ha ha ha ha ha ha ha ha ha ha ha ha ha ha ha ha ha ha ha ha ha ha ha ha ha ha ha ha ha ha ha ha ha ha ha ha ha ha ha ha ha ha ha ha ha ha ha ha ha ha ha ha ha ha ha ha ha ha ha ha ha ha ha ha ha ha ha ha ha ha ha ha ha ha ha ha ha ha ha ha ha ha ha ha ha ha ha ha ha ha ha ha ha ha ha ha ha ha ha ha ha ha ha ha ha ha ha ha ha ha ha ha ha ha ha ha ha ha ha ha ha ha ha ha ha ha ha ha ha ha ha ha ha ha ha ha ha ha ha. Next year, we'll probably get Trout. Make me eat my hat, Twins. I've lost a little of my reverence for Olney after this one. Let’s go win a WS!!! The evidence for signing an expensive player is that the team hasn't spent money? I, um, hmmmm. Comparing Buxton to both Harper and Machado puts it into perspective just how disappointing Buxton has been. Obviously he is not being written off anytime soon but his career compared to both of their's is pathetic to say the least. I'd love for us to be in on either player, but it feels like the mentions of us being a mystery team are the sort of thing an agent would do to try and stir the market, not because they have any intention of ever signing their player with us. They want us to be a stalking horse for a bigger market and try and push the Chicago/NY/LA's of the world to make the bigger offer. Basically, not seeing this matter.